The Tone Block is a passive second-order (two-pole) resonant RLC filter with variable frequency and Q (resonance). It’s a simple and economical alternative to our Resonant Filter, specifically designed as post filter for the Modula pickups (currently being developed), giving you the freedom to change each pickup’s character on the fly. This second-order filter consists of an inductor, 4 capacitors and 4 resistors in a parallel power of 2 configuration. The capacitors and resistors are switched using two miniature rotary hex switches, giving you 16 positions for frequency and another 16 positions for Q. 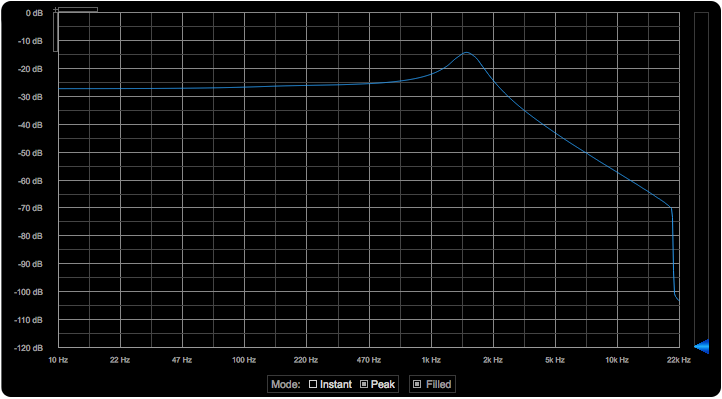 The second-order filter provides a -12dB/octave (-40dB/decade) roll-off. 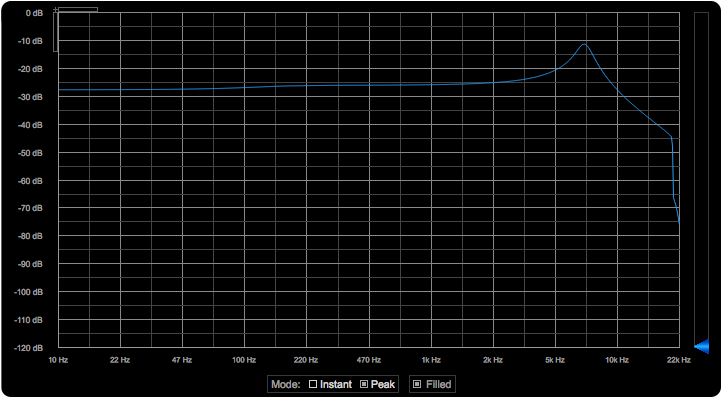 That’s exactly the response of a traditional high impedance passive pickup that the Tone Block is meant to emulate. When connected to a full frequency range pickup such as the Modula, the Tone Block allows you to dial in the characteristics of virtually any pickup. You can use this table of Resonant frequencies of some well-know pickups by Helmuth E. W. Lemme as a guide. For example, the Fender Telecaster Neck has a resonant frequency of 3.8kHz with a Q of 1.4. The approximate settings for that is position 12 for frequency and position 6 for Q (see table below). Technically speaking, a pickup is an audio voltage source followed by a second-order lowpass filter. The tone (color) of the pickup is characterized by its cut-off frequency and its resonance contour — the so-called Quality factor or simply Q. See this article The Secrets of Electric Guitar Pickups (also from Helmuth E. W. Lemme) for details. The Tone Block is very easy to use. Simply place it in between the pickup and wherever you would normally connect the pickup (e.g. 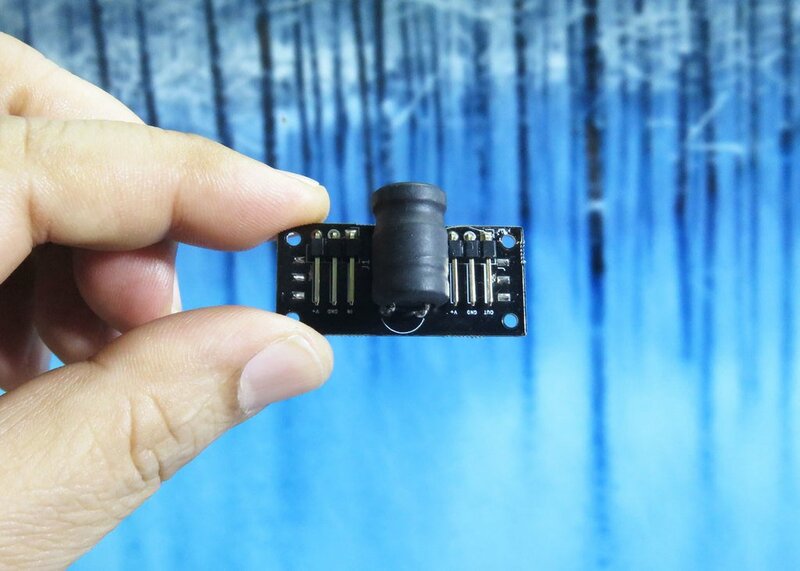 switch or volume pot) using solder-free connectors. Ideally, you can have one Tone Block for each pickup in your guitar. 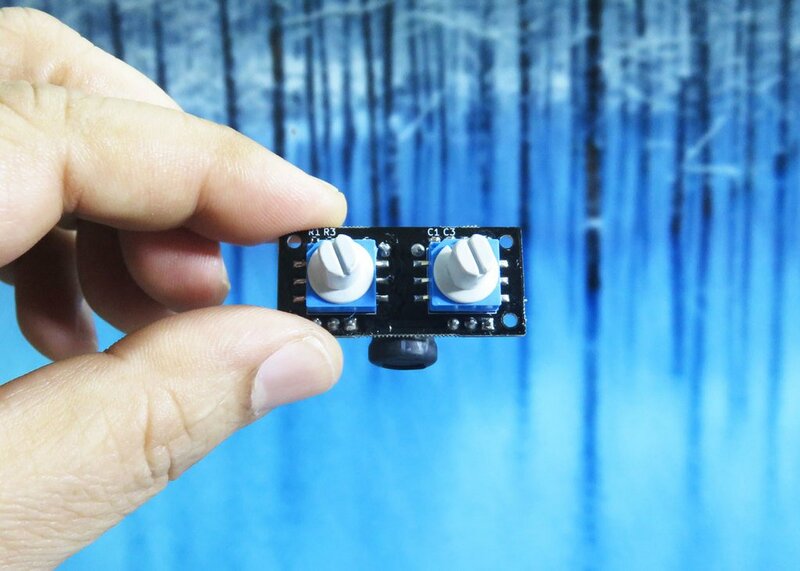 The first rotary hex switch controls the cutoff-frequency from 1.5kHz up to 6kHz plus one all-pass setting. The sweet frequencies from 2kHz to 5kHz give you the classic tones of electric guitars. The human ear is most sensitive to frequencies in this range. As a rough guide, at 2kHz, the tone is characterized as warm and mellow; at 3kHz, brilliant or present; at 4kHz, piercing; and at 5kHz, more brittle and thin. Here are some graphs that show the actual frequency response of the Tone Block for various frequencies with Q set to maximum. The graphs were captured using Blue Cat’s spectrum spectrum analyzer with input from a sine-sweep wave generator. The second rotary hex switch controls the Q of the filter. 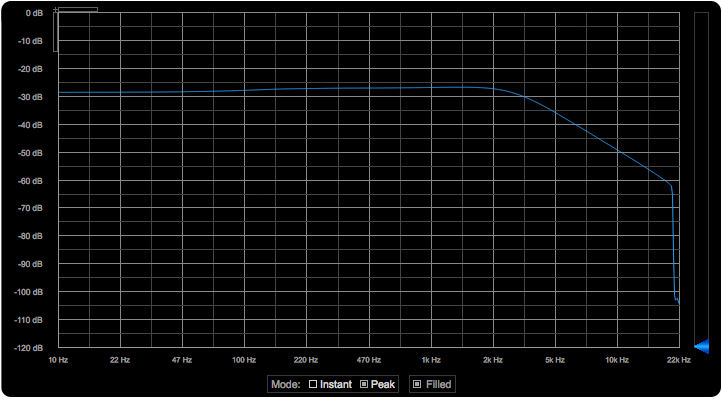 Q determines the steepness of the curve and amplitude of the peak at resonance. The higher the Q, the narrower, sharper and higher the peak. A tall and narrow peak yields a more pronounced filter effect at the cutoff-frequency. A gentler slope yields a mellower, rounded tone. Q is continuously variable from 0.707 to 5. Here are some graphs that show the actual frequency response of the Tone Block for various Q settings with frequency set to 2.6 kHz. These are the frequency and Q settings for the 16 positions of the hex switches. The RLC filter capacitors and resistors are arranged in a parallel power of 2 configuration which gives us a logarithmic response.